Geannie Wright has been at FLVC since 2014. She is an Office Manager/Vet Assistant. She is an absolute cat lover! She is known as the clinics 'Cat Whisperer.' Most of her background has been in the Nursing field. She has volunteered at a few animal shelters and is overjoyed to be living her life-long dream of working with animals! When she is not working she enjoys the outdoors, soaking up the sun, loving life in the mountains. She enjoys spending time with her daughter Adreanna, and her two 'fur-baby' cats, Jsa Jsa and Bubba. Toni Moore is Our LVT, She has been caring for our patients and their families since 2015. 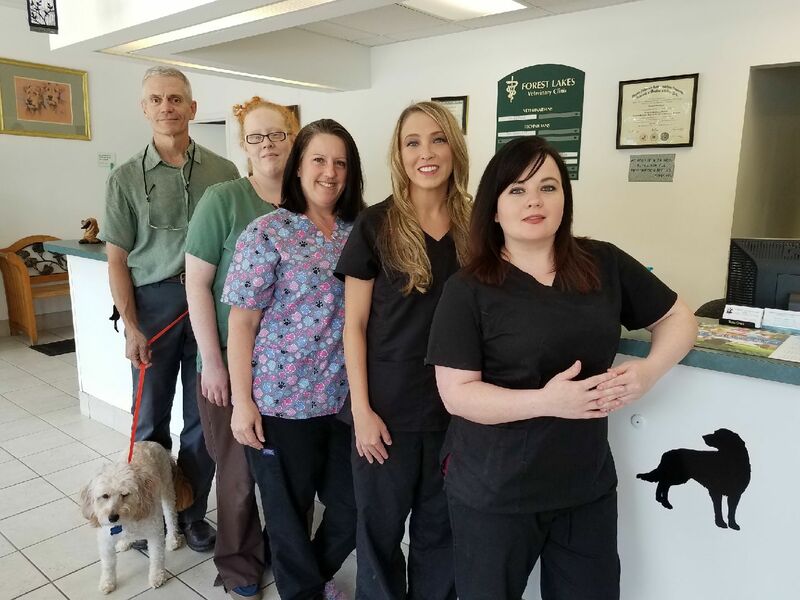 She graduated from York Technical Institute and became a Licensed Veterinary Technician in 2016. She currently has a cat named Indy that rules her life, a bearded dragon named Alistair, and various other critters including: dart frogs and salamanders. When she’s not working, Toni enjoys reading, movies, video games, music, arts & crafts, and road-tripping to Pennsylvania to visit family. Jennifer Chillemi has been with FLVC since 2016. She is a Vet Assistant/Receptionist. She has been an animal lover all of her life and always wanted to help them in anyway she could. When she's not at work she enjoys spending time with her family, three kids Alex, Ava and Ayden as well as her fur baby Remington. Her motto is: It's not work if You do what You love! Katy is our beloved clinic kitty! Come in and visit her today, she will make you happy!